The webcartoonists are regrouping, citizens, which means we must be bolder in our efforts. Fortunately, the Department of Homeland Security has wisely chosen to provide us with $250 million of your money so that we can branch out into social media. It's extremely urgent that every man, woman, and child in America follows us on Twitter and Tumblr. It's the most efficient way for us to keep Americans up to date on our progress in eliminating the cyber threat. 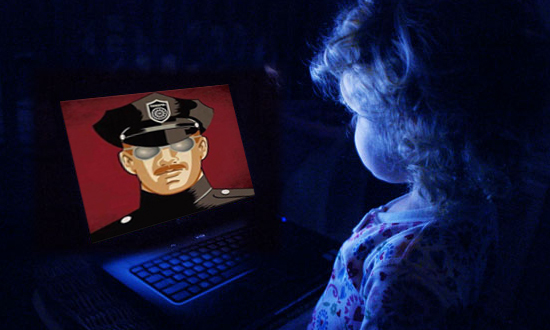 Your very lives, citizens, and the lives of your children, depend entirely on how effectively we're able to protect the Internet from malicious webcartoonists. Won't you think of the children, citizens? We know that today's world can seem very scary at times. However, you can trust us, citizens. With your continued support, our boots will continue to stamp on webcartoonists' faces -- forever.